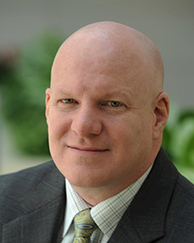 John McKinney is an Adjunct Assistant Professor of Marketing who teaches Marketing Strategy. In addition to teaching, he is a partner at UpwardTrend, Inc., a firm that helps clients manage growth issues in turn-around situations, start-ups or new product introductions as well as managing product portfolio issues. He also owns 1st StartUP, a platform for providing course materials and tools for entrepreneurship classes. McKinney has past experience at Booth as a Marketing Instructor in the College and in the Summer Business Scholars Program and has helped develop classes for Executive Education and advanced classes for the MBA program including New Product Development and Entrepreneurial Marketing. He has been a mentor and judge for several business plan competitions and serves on several start-up advisory boards and has been a busy mentor at business incubators and NSF I-Corps programs. He has taught strategy courses at another business school. He has nearly 30 years of experience in healthcare operations and management consulting and has worked as an independent marketing and strategy consultant. John has worked in operations for small businesses and start-ups as well as very large, complex enterprises. He has led consulting engagements focused on corporate strategy and marketing to support growth initiatives for both US and international clients. Clients varied in size from small regional startups to large multinational Global 500 clients in sectors as wide ranging as banking, healthcare products and integrated facilities management services sectors. Engagements have including new product development, channel strategy, product transitions, performance improvement solutions for clients, product portfolio management (platform strategies) and R&D portfolio management. Lectured internationally on the same topics. Served as Executive Coach and Advisory Board Member for several enterprises. McKinney has led several operational turn-arounds in healthcare and developed a process specifically to quickly assess operations and impact growth which I have applied in multiple industries. John’s mix of strategy and marketing tactical proficiency combined with operations and entrepreneurial process expertise brings a unique perspective to marketing that emphasizes strategically driven tactics and efficient resource development and deployment. He is particularly interested in entrepreneurship, new product development, taking new products to market and product positioning. In class, he emphasizes practical application of the course materials in real world business applications and encourages extensive discussion of business situations. McKinney earned his MBA from Chicago Booth in 2003.